Back when the Palomino was ground zero for the post-cowpunk California country scene, the Mustangs were an all-girl band who were long on chops and strong on harmonies. In a world where Jim Lauderdale and Buddy Miller shared a band, Lucinda Williams, Rosie Flores and the late Candye Kane had a roots, rockabilly and blues take on country and you never knew if Dave Alvin or Dwight Yoakam might show up at Ronnie Mack’s Barn Dance, the Mustangs more than held their own. Five women who knew their way around a bandstand, they had great energy – and great fun, all in the name of making country music that was equal parts Emmylou Harris and Stevie Nicks, mixed with the harmonies of The Eagles and early Beach Boys. Fresh and willing to dig into their writing, the group was named the Southern California Country Music Vocal Group of the Year. Headlining around L.A., the group was discovered and invited to play in Europe and Scandinavia. Touring Europe three times, The Mustangs played clubs and festivals including SXSW and the renowned Roskilde Festival, where they were featured along with Edie Brickell and the New Bohemians, and The Stray Cats. Back in the US, the band made a special guest appearance on an NBC TV sitcom about a record label (“Throb”), and their live performance was written into the script. During the mid-90s, members of the group parted ways to pursue other musical interests, following their hearts to different parts of the country. Lead singer/songwriter and acoustic guitarist Suzanna Spring relocated to Nashville, where she released a solo album, receiving Music Row Magazine’s Discovery Award, and worked as a songwriter for Bluewater Music. Bassist/vocalist Holly Montgomery headed to the east coast and successfully pursued a career as a solo artist and studio musician, releasing two solo CDs to critical acclaim and local notoriety. Lead guitarist Sherry Rayn Barnett played with several groups in Los Angeles, while becoming a widely-known music photographer. For every single Mustang, they’ve continued to actively realize their dreams … both in music and related creative fields. But that was then, this is now. 2017 marked a renewal of a band that had begun in Santa Monica in the late 80’s and performed across the US and Europe through the mid 1990s. Remembering how sweet their sound was, (Mustangs) Sherry, Suzanna, and Holly went from laughing about what was, to talking about why not? 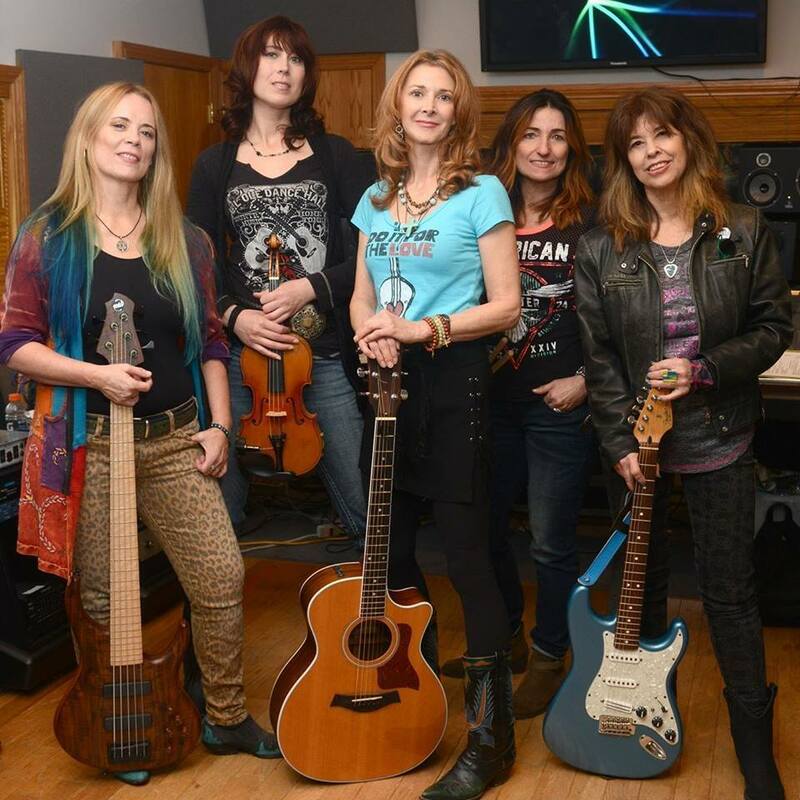 So, the three original members of the group reconnected, added two versatile new players to complete the line up -- drummer Suzanne Morissette and fiddler Aubrey Richmond. After rekindling interests and talking about new songs, this dynamic new formation of the band decided to head back to the studio to see what kind of music they’d make today. They found their sweet spot still features the same three- and four-part vocal harmonies, electric lead and acoustic guitars, fiddle, bass, and drums that gave them such a unique sound. Now in 2018 — with a new name and new songs, The Mustangs of the West are back, recording and shooting video for an upcoming release. Setting their sights on breaking new ground, it’s a modern take on something classic. California country is back!